Hooray for the wipe down bath concept during those hectic summery days! Who else loves the “in between bath” routine? For babies, toddlers, preschoolers, and kids, the half bath routine in summer (and let’s face it…. ANYTIME!) is a LIFESAVER. 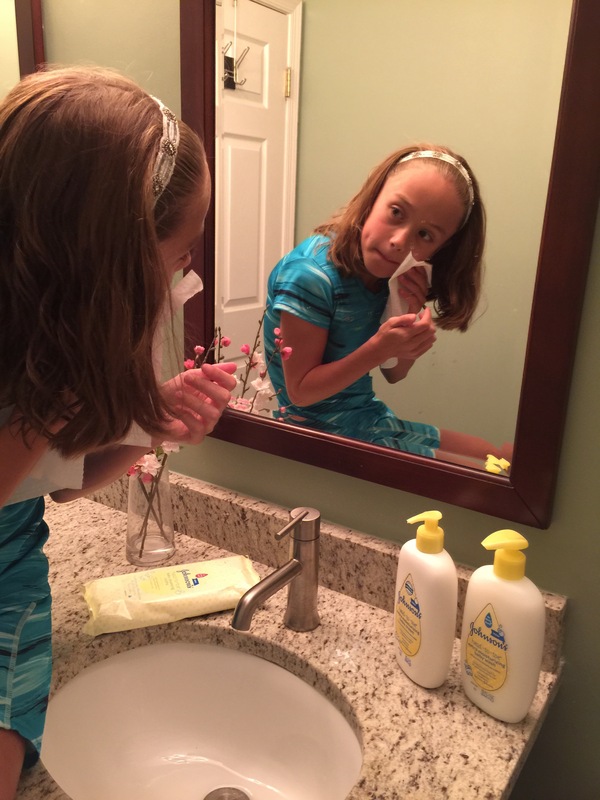 This summer, my active kids have kept clean between baths thanks to new JOHNSON’S ® HEAD-TO- TOE ® baby cleansing cloths. We absolutely LOVE this new line of soft, thick, and oversized wipes that leave no residue on your skin and doesn’t even require a rinse! 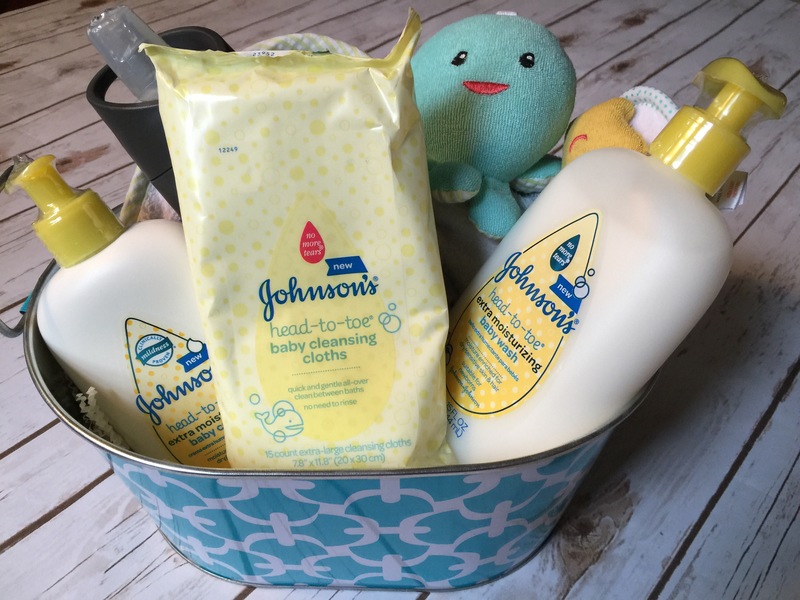 If you now an expecting Mom and are looking for gift inspiration, I highly recommend a cute gift set of a hooded towel and JOHNSON’S ® bath time goodies including JOHNSON’S ® HEAD-TO- TOE ® baby cleansing cloths so you can introduce her to the genius concept of the half- bath. You know there will be times when she’ll need to do a mega clean-up of baby in the car, on the road, at the mall, at the pool,on the beach or even at home after an exhausting day on the go! 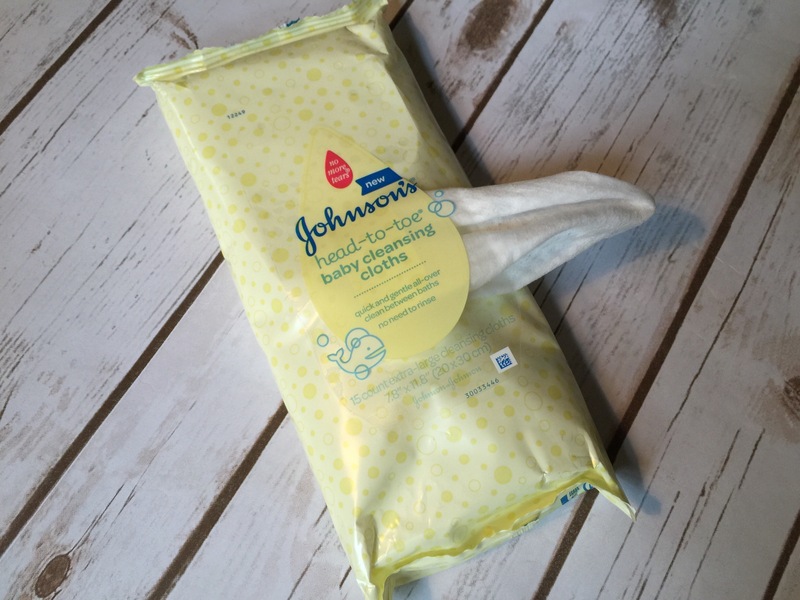 JOHNSON’S ® HEAD-TO- TOE ® baby cleansing cloths which are soft, thick cloths twice* the size of average wipes and designed to keep baby clean without the need for water. There’s no need to rinse, leaves no residue, and won’t dry out baby’s skin. *2x larger than JOHNSON’S ® baby hand & face wipes. 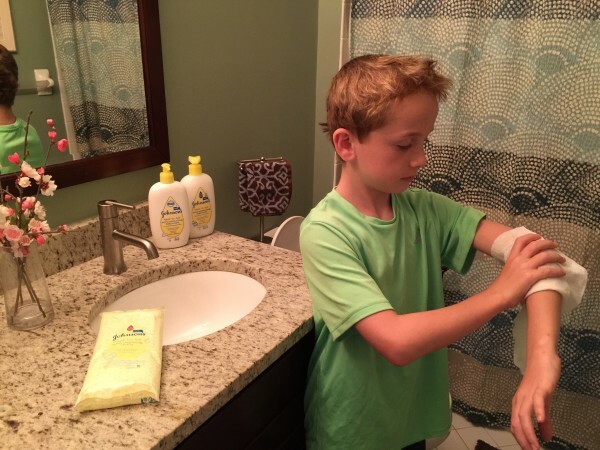 As a Mom, I feel good using JOHNSON’S ® on my kiddos skin. 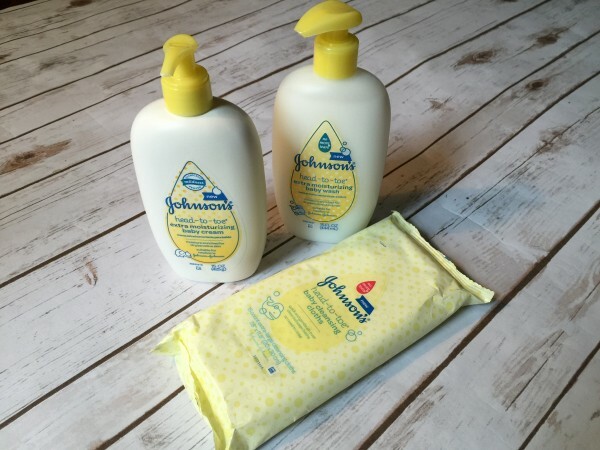 For over 120 years, JOHNSON’S ® has been a trusted source to help set global standards in baby skin care bydeveloping high quality products that are safe and extensively tested. With non-stop summer days at the pool, wearing tons of sunscreen, playing tennis, going to swim meets and squeezing in time for backyard play and hikes in the woods, my outdoor loving kids desperately need a bath that goes beyond CHLORINE from the pool. 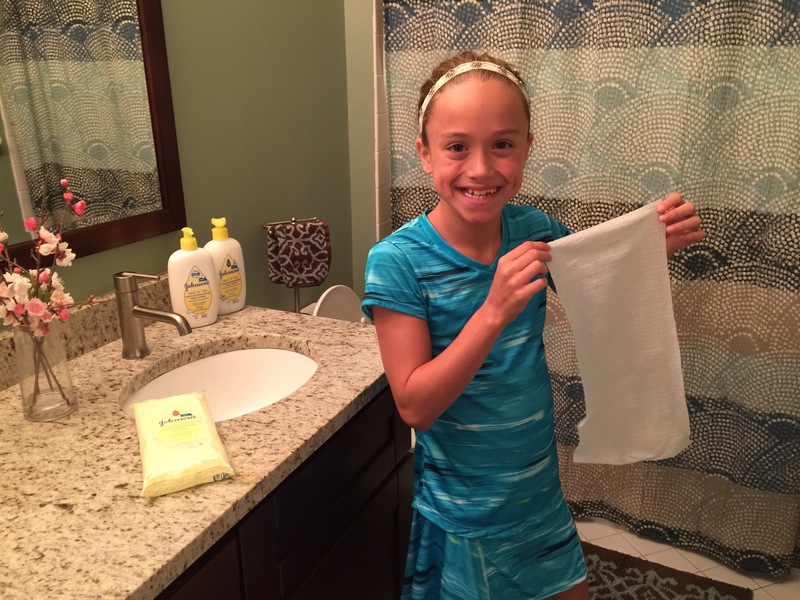 Kenzie and Kyle are absolutely crazy for these soft & sweet scented cleansing cloths fromJOHNSON’S ®. Convenient for their suitcases when we’re traveling and handy at home in the bathroom at the end of a busy day before bedtime. And this Mom loves that my kids are motivated to stay clean since JOHNSON’S ® HEAD-TO- TOE ® baby cleansing cloths make washing up so FUN, SIMPLE, and EASY for my kids to take care of themselves. o Skin is the first sense organ to develop prenatally, making touch the first sense to develop. o Babies are dependent on touch for exploring the world. o Baby’s first sensory stimulation in life comes from touch while still in the womb. o Touch is so important that some consider skin to be the external nervous system. o While genes play a role in brain development, experiences have a significant impact on how it develops. o Stable, caring and interactive relationships with adults promote healthy brain development. o During the first three years of life, every touch, every smell and every moment helps shape baby’s developing brain. o The ongoing interchange between parents and baby, baby’s genes and different environments in which children are born, grow, learn and live helps shape the developing brain. o In addition to baby’s genes, the brain develops and organizes as a reflection of developmental experience. Learn more about online about JOHNSON’S ® HEAD-TO- TOE ® baby cleansing cloths and other new JOHNSON’S ® products at www.johnsonsbaby.com. Note: This post is sponsored by JOHNSON’S ® . As always, all thoughts and opinions are our own. zit.” you could have acne If this disorder repeatedly affects your skin. Enjoyable focus but then I’m unsure on that I like you. time for the internet change? Wonderful items from you, man. I have be aware your stuff prior to and you’re just too fantastic. I’m gone to convey my little brother, that he should also visit this weblog on regular basis to get updated from newest news.